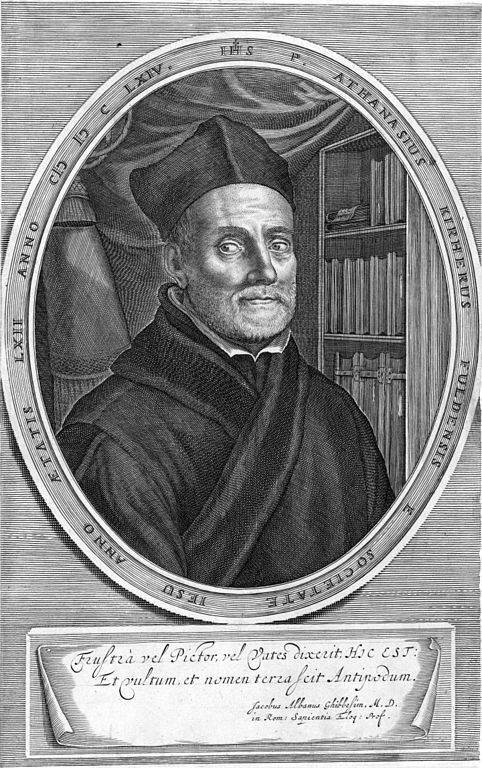 The Jesuit scholar Athanasius Kircher (ca. 1602 – 1680) was one of the great minds of the 17th century, but enjoys little of the posthumous fame of his contemporary, Rene Descartes (1596 –1650). The diverse topics of Kircher’s books—he wrote about the origin of writing, the principles of optics, the geology of volcanoes, the music of the spheres, on Noah’s Arc, and on China--are not just serendiptious choices, but the reflections of a powerful intellect that attempted to capture the holistic nature of knowledge. To Kircher, every aspect of the particular had a place in a larger divine plan. In the Kircher Project, students in Fordham University Honors Program explore one of Kircher’s works, the Arca Noë (Noah’s Ark). Through it, Kircher tried to align the account in the Bible--uncontestable truth to him-- with knowledge of his day. Arca Noë attempts to answer some questions that dogged him after reading the Bible and its commentators. How big was the Ark? How was it constructed? How were the animals arranged in it? Where was their food stored? These pragmatic questions included ones that reflected current scientific understanding of the world of Kircher’s day: given that some living creatures were generated out of decaying matter, had it been necessary for Noah to bring them on board? What about hybrids, like mules, that could be created out of other animals? Did they board too? Working with a copy held by the Fordham University Library, students center their research on one book to draw attention to the concrete physical forms through which ideas were made manifest in the 17th century. Kircher’s Arca Noë is a folio size work, printed in Amsterdam in 1675. Its 240 pages are richly illustrated with engravings, many of them fold-out pages that were tipped into the volume, and woodblock prints. One section of Arca Noë offers an illustrated catalog of all the creatures that Noah brought onto his ark, and each student in the class chose one of the animals as the focus of his or her research. This website offers a virtual exhibition of their work.